2018 Dacia Duster reader test team review | What Car? Dacia arrived in the UK just five years ago, yet it already sells more cars here than established brands such as Jeep, Mitsubishi and Subaru. What has seduced us is the bargain prices of its models, primary among them the Sandero hatchback and Duster family SUV. The former is the cheapest car on sale overall, at just £6995, while the latter is the cheapest SUV, at £9495. 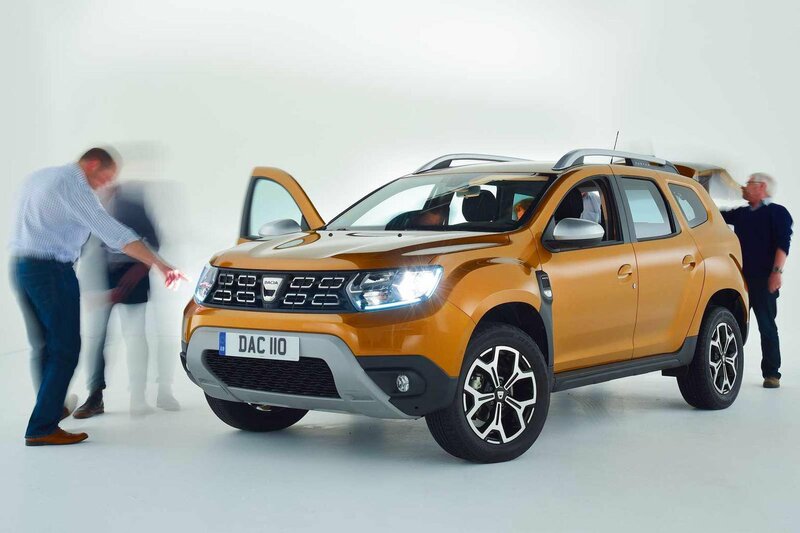 So, it’s no surprise that the new Duster won’t jump up in price when it goes on sale in July. The new car is based on the same platform as its predecessor and uses the same engines – a 1.5-litre diesel and a 1.6-litre petrol – but every exterior body panel is new and the interior has been redesigned. Robust 4x4 styling has been retained but is clearly more modern, while Dacia has worked on lifting quality inside and updated the 7.0in infotainment touchscreen. We invited our readers to see the new Duster to find out how much of an improvement it is. “I love my Superb; it really lives up to its name. But I’m interested to see how good the Duster can be for such a low price. “I’m over 6ft tall, but I have plenty of head and leg room in all of the seats in the Duster. I’m very impressed with the ergonomics. “I really appreciate the small things in a car. For example, the Duster’s boot has grab handles, which would allow my partner to shut the tailgate; she can’t reach it in my current car. 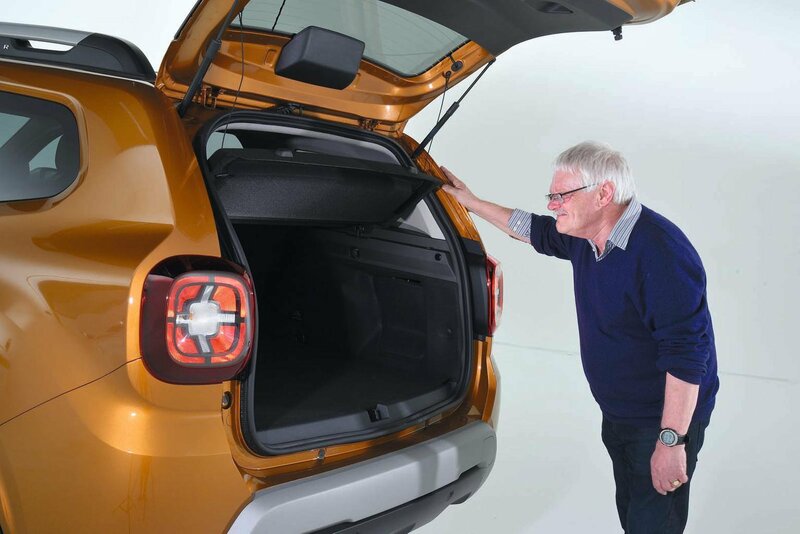 “Dacia says the doors of this new model open wider than those on the old car, and it’s certainly very easy to get in and out without bumping your head. “Given that this car is based on relatively old underpinnings, I’ll be interested to see how it drives – if there’s a discernible difference compared with other SUVs. “It’s a slight disappointment that the rear seats don’t fold completely flat, but the Duster’s boot is still a good size; you could easily get a family’s holiday luggage in there. “I’m glad that the touchscreen will feature sat-nav as standard on higher trim levels, because it’s something I find really useful. “The new Duster is an improvement in virtually all ways over the previous model. “For starters, it has a much more modern appearance. Aggressive isn’t the right word; it’s purposeful. It reminds me of the old Land Rover Freelander. The front looks great now that it has LED daytime running lights. “There has definitely been a boost in material quality and fit and finish inside. “The touchscreen is positioned higher up than before, which is great, because in my car I have to look down to see the sat-nav. “Additions to the dashboard, such as the digital information screen between the instrument dials and the constant illumination of the numbers on the dials, are really pleasing.The layout of the buttons is much more user-friendly, too. 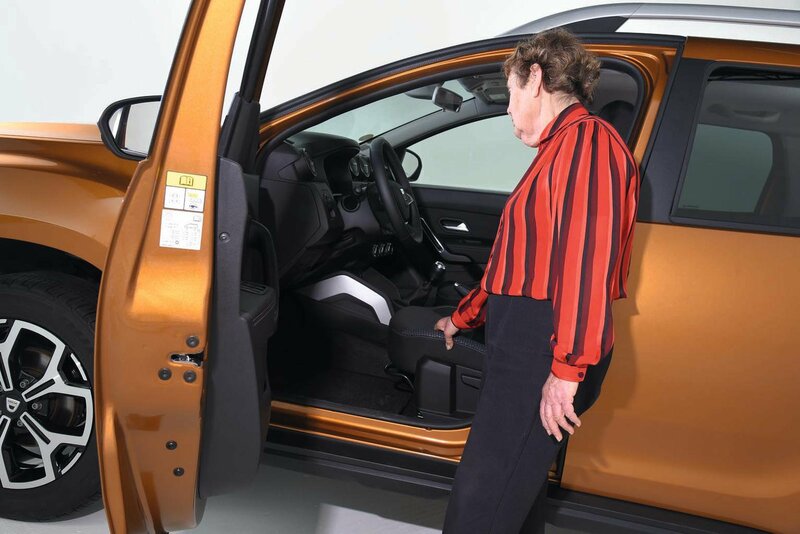 “The driver’s seat is much more comfortable and, thanks to the addition of lumbar adjustment, more supportive. “I also like that the boot no longer has a lip at its entrace. “I like the idea of an SUV, seeing as I’m now a grandfather and looking to get a dog. I’m attracted to the Duster because it’s ever so reasonably priced. “I’m really impressed with the improvements that have been made over the old Duster, especially given that the new car won’t be much more expensive. “The new exterior design looks less ‘cheap’, and I love this combination of Atacama Orange paint and a black interior. “The Duster has reasonable space inside. There’s plenty of head and leg room in the rear seats – plus Isofix points for securing child seats – and the driving position is comfortable. “I also appreciate that the boot floor is completely flat. “I don’t do a lot of off-roading, but four-wheel drive appeals to me; my C-Max struggles in poor weather conditions. And the Duster has a rotary dial between its front seats that allows you to lock into four-wheel drive mode, which is a great feature. “I’ve just retired, so I want a car to replace my commercial van. “I need something that’s fairly high up, so that it’s easy to get into. I also need a steering wheel that adjusts up and down and a driver’s seat that can be jacked right up, because I’m short. The Duster meets all of those requirements. “I’m pleased that the seatbelt adjusts for height on all versions of the Duster. It’s a worry for me, because I once dislocated a vertebra when I had an accident in a van that didn’t have an adjustable seatbelt. 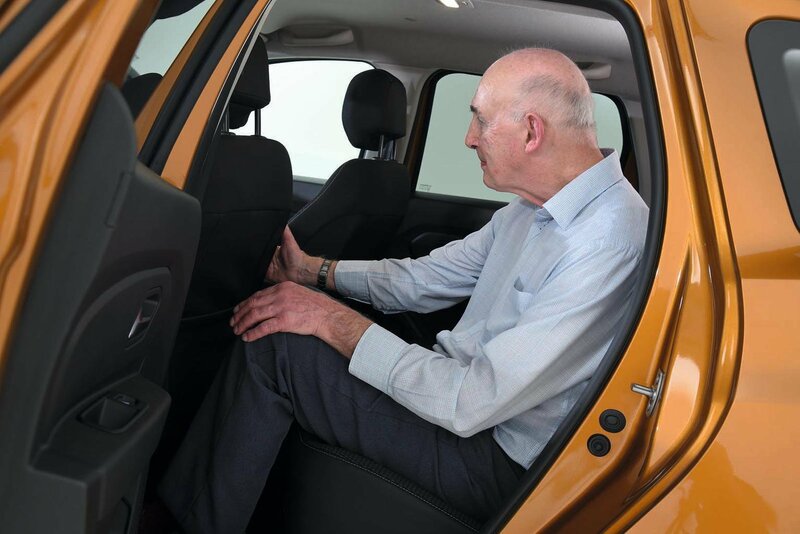 “The Duster’s seats are very comfortable; I feel like you could sit in there for hours and not get back or leg ache. “It’s good that the Duster is available with front and rear parking sensors, and even a rear-view camera, because that makes parking so much easier. Dacia has also added blindspot monitoring, which is fantastic. 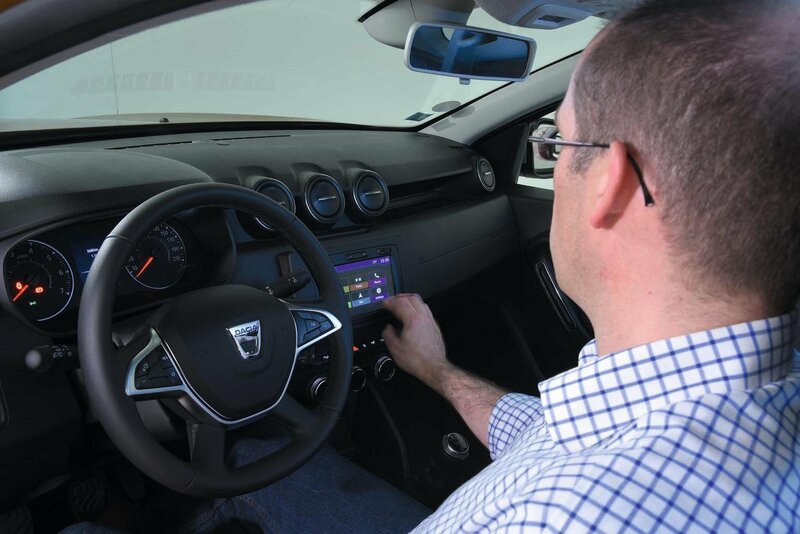 “It may be a very common feature now, but I’ve never had cruise control or a speed limiter, and the Duster offers both.